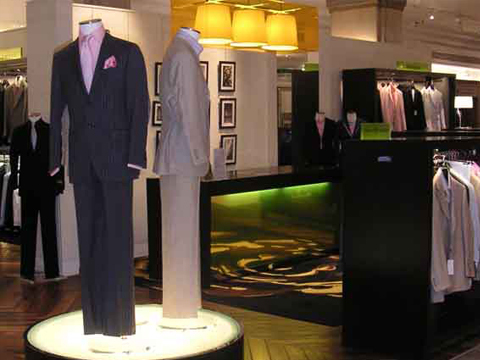 Working with DIN Associates, after successfully pitching for a five phase refurbishment of the ground floor menswear offer at Harrods, we set about producing a concept for the new environment. 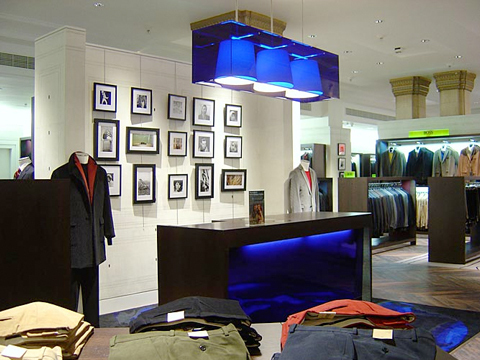 Our mantra during the design process was ‘traditional with a twist’, using a predominantly traditional palette of materials, with more contemporary clean lines and lighting solutions. 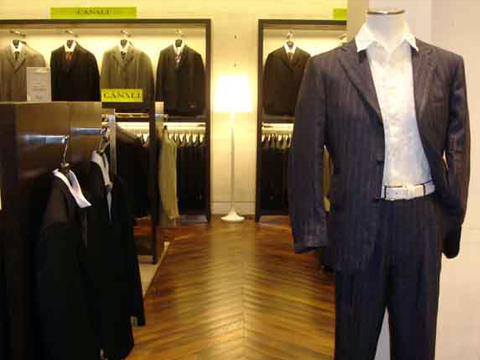 The first of the five phases completed in early March 2005, and saw an immediate increase in takings for Harrods.